In his address at Uttar Pradesh's Azamgarh on Jul 14, PM Modi had came down heavily on the Congress over its stand on the issue of instant triple talaq, asking if it was a party for Muslim men alone. Samajwadi Party chief Akhilesh Yadav today said that "parties are of people and not of any religion", days after Prime Minister Narendra Modi attacked the Congress. Addressing his party workers here, Akhilesh also said he would embark on a cycle yatra in the state once the Lok Sabha election schedules are announced. "The prime minister is saying that the Congress is a party of Muslim men. I want to say that parties are of people and not of any religion. BJP leaders are expert in telling lies. People are still waiting for Rs 15 lakh in their account," he said. "The real face of these parties was revealed by their approach on triple talaq. Crores of Muslim women had always demanded that triple talaq should be banned as it is also banned in Islamic countries. When I read in the newspaper I found that the Congress president had said that Congress is a party of Muslims, and there has been discussion on this for the past two days. But I want to ask the Congress whether it is a party of Muslims men alone," the prime minister had told the public meeting. 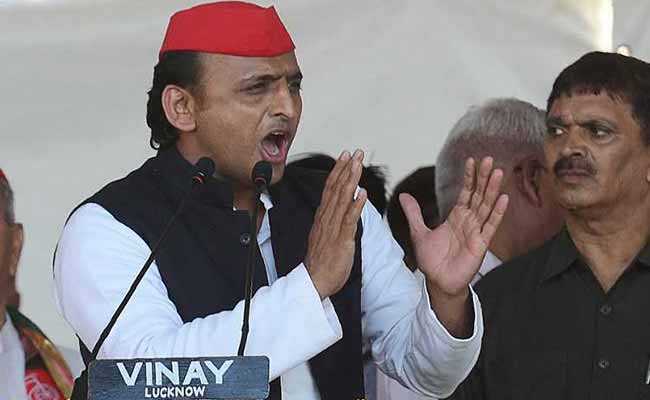 Stating that the Purvanchal Expressway was his government's brainchild, Akhilesh said that his party men while embark on cycle yatra to remove misconceptions of the people and false propaganda of BJP who is "claiming credit" for it. "I will take out a cycle yatra after the (Lok Sabha) election is announced. The BJP has started election campaigning and the PM is also on a campaign trail. The PM should tell when the elections is going to be held as he might be knowing it," he said. Meanwhile, according to party sources, a cycle yatra - the Loktantra Bachao Samagra Kranti Cycle Yatra -- will be taken out by party workers from July 26 along the route of proposed Purvanchal Expressway from Ballia. The yatra will pass through Ghazipur, Mau, Azamgarh, Ambedkarnagar, Faizabad and Barabanki before concluding at Janeshwar Mishr Park in Lucknow on August 5. The participating cyclists will be paddling 40 to 50 km each day led by state general secretary of Yuvjan Sabha Arvind Giri, they said. The cyclists will halt in villages and towns to meet the people and make them aware of the "reality" of the expressway and inform them about the development works and welfare schemes initiated under previous SP government.